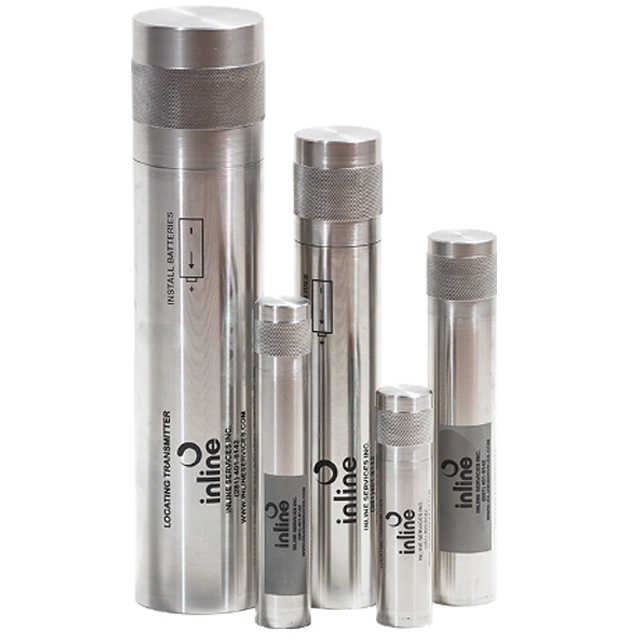 Inline’s TX Transmitters are available in both standard and coded frequencies. They come in numerous standard types, but can be custom made to meet specific job requirements. Each transmitter is made durable and reliable for a long life. The TX Transmitters generate electromagnetic fields at a very low frequency (between 15 and 30 Hz) sending audio and visual notification, through the antenna to the receiver, when a signal is picked up. The inside of the transmitter is available with either a lithium or alkaline battery enabling the device to be self-sufficient. Temperature ranges are based on the battery type. Alkaline batteries are rated at -4 to +130 F (-20 C to +54C) and Lithium batteries are rated at -40F to +140F.